Been featured on sites such as Tedx Lincoln Square, Huffington Post, Thrive Global, MindBodyGreen, Tiny Buddha, and Elephant Journal, and have been mentioned in online articles for publications such as Marie Claire UK. Learned coaching skills in 2006 when I led workshops to help people make positive changes, and I started my coaching business helping people 1:1 in 2009. Earned a Master’s Degree in Public Health from Emory University in Atlanta, focusing on prevention & mental health. I also hold a Bachelor of Science Degree in Psychology with a concentration in Industrial / Organizational Psychology. Currently working towards a second graduate degree (in Organizational Psychology) from the City University of New York (CUNY). Trained and certified in many evidence-based programs, including Yale's "Coping with Work and Family Stress" program. Received 30 hours of Mind-Body / Positive Psychology training at Harvard’s Benson-Henry Institute and 20 hours of Stress Reduction training from Yale’s Division of Prevention and Community Research. I hold a professional coaching certification and I'm a Certified Health Education Specialist (CHES), which requires continuing education. Served as Instructor at Emory’s Center for Lifelong Learning (Emory Continuing Education), where I led a course entitled "Flourishing 101: How to Increase Your Happiness Factor and Live with Purpose." Also taught a 6-week course entitled, "Stress Reduction for a Balanced Life” in 2011. Completed some graduate level coursework at a local university in Integrative Health (which incorporates mind, body and spirit). 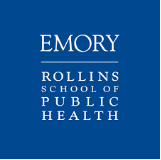 Served as a Health Communications Fellow at the Centers for Disease Control and Prevention (CDC), as "Living Well" Coordinator at the Atlanta Regional Commission (ARC) and as Senior Program Coordinator at Emory University’s Department of Psych & Behavioral Sciences. As my background lies in behavioral / mental health, my name can also be found on a few academic pieces in peer-reviewed journals and presentations, and I co-authored a chapter in a mental health nursing textbook in 2009. With a unique blend of science and spirituality, I continue to immerse myself in studying mindfulness, positive psychology (the study of happiness and well-being) and goal setting in order to help people realize their dreams and flourish. Furthermore, since 2009, I have also learned from top business mentors in the field and love to help brainstorm business and marketing plans to help people make money doing what they love. I have helped many people go from stuck to flourishing. Last but NOT LEAST! I apply what I have learned on my own journey in the School of Life.